Hey stoner! 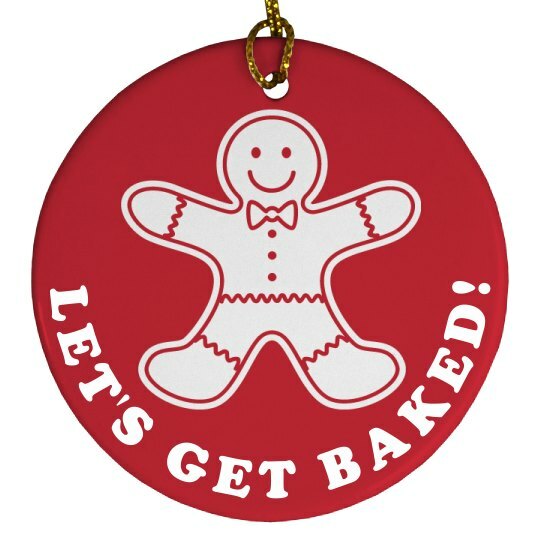 Let's get baked and eat all the gingerbread cookies this Christmas. Hang this funny baking pun ornament from your Christmas tree. Custom Text: LET'S GET BAKED!